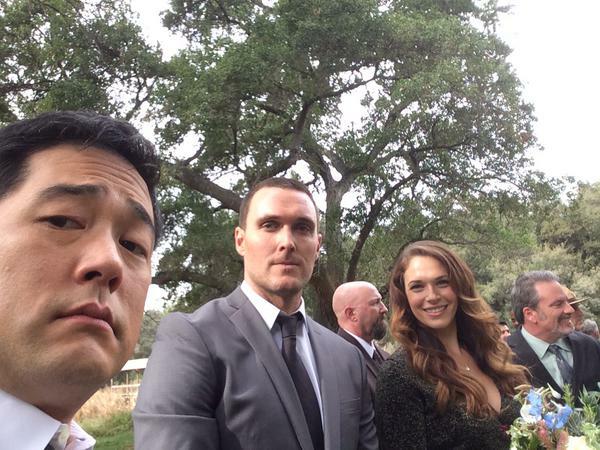 BTS pics of the Series Finale by Tim Kang. . Wallpaper and background images in the The Mentalist club tagged: photo the mentalist bts 7x13 wedding tim kang owain yeoman amanda righetti. This The Mentalist photo contains business suit, suit, suit of clothes, dress suit, full dress, tailcoat, tail coat, tails, white tie, and white tie and tails. There might also be single breasted suit, judge advocate, and pinstripe.